Need to communicate where employees and guests need to keep an area free from obstructions? 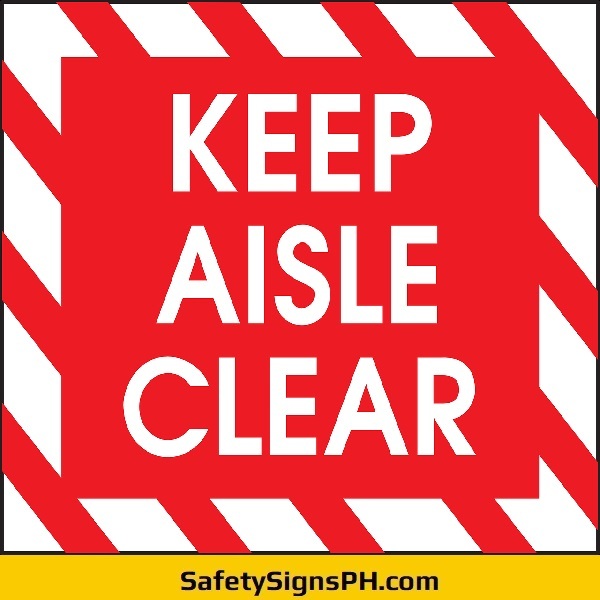 Our keep clear signs are what you're looking for! Display them at locations such as emergency exits, staircases, hazardous areas, and others. Our durable bespoke keep clear signs come in variety of sizes, formats, and designs. 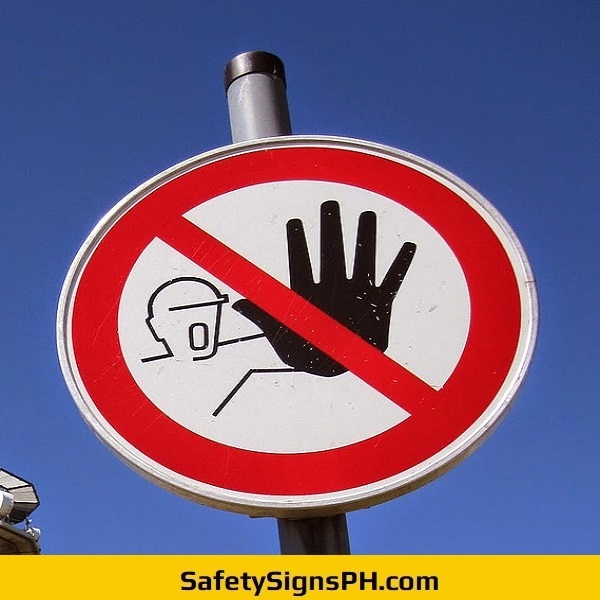 By installing this type of warning signage, you will able to give out instructions in some areas of the workplace that can cause accidents, inconvenience, or delays in rescue routines. They can also mounted in your facility to help promote good housekeeping and maintain a clean workplace. In the event of an emergency situation, it is very important that people can easily access emergency exits and stairways. 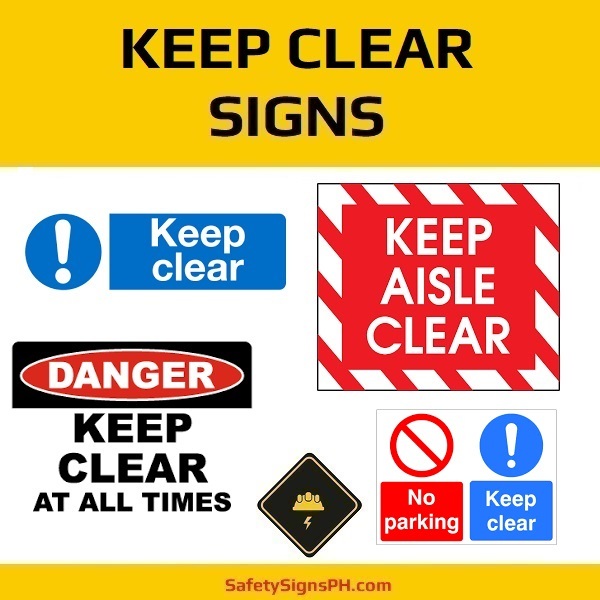 These specific areas need to be kept clear of obstacles all the time, and our keep clear signs are perhaps the best tool to remind everybody within the premises to follow these safety procedures. They are applicable for companies in Metro Manila, Cavite, Laguna, Rizal, and Batangas, Philippines engaged in construction, manufacturing, civil engineering, maintenance, mining, metals and steel, and much more. 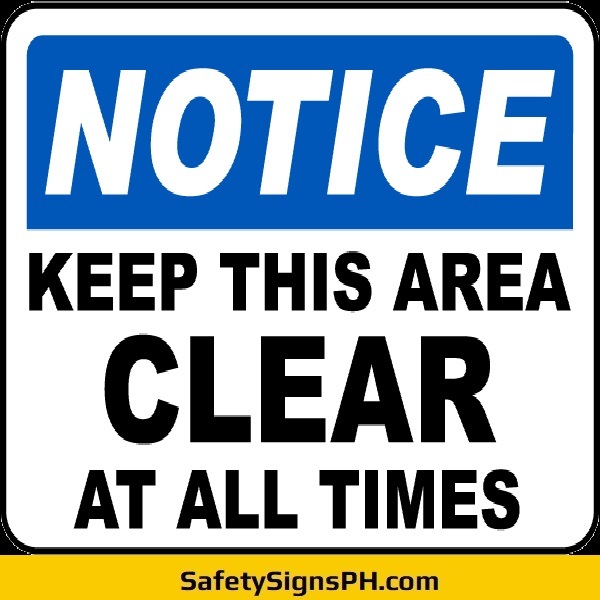 Feel free to contact us today if you need additional details about our keep clear signs. Our skilled employees are always ready to assist you in providing quality safety signages at cost-effective pricing and with quick turnaround time. Order yours today!